Annular solar eclipse September 1! Second and final solar eclipse of 2016. Moon too far away in its orbit to cover the sun completely so it’s an annular or ring of fire eclipse. This is so cool! A relatively close star with a potentially habitable world! Those like myself, who grew up when dinosaurs roamed the Earth, remember an entirely different phone system than we have now. Most had a phone in those days (talking about the 50s and onward) but they were all landlines run in from unsightly poles. Furthermore, in many cases, we had to share this line with one or more other people. Now this is not like having multiple phones on the same plan sharing minutes. This is a matter of essentially sharing the phone line itself. In other words, only one person could use it at a time. Back then, phone manners comprised not only the usual salutation and farewell, but dealing with other people outside your family, usually, but not always, your neighbors. Some were on the phone all the time, others might listen in to your conversations, and other annoyances like that, which are incomprehensible to those who are used to having their own cell phone, possibly from adolescence onward. Protocol back then dictated if someone on your party line picked up their phone twice, the polite thing to do was hang-up and give the other person a chance to use it. Of course, some people would do this within a minute, which put the rudeness on them. If there was a family on your party line who had one or more teenagers, you can imagine how this worked, though admittedly there are plenty of adults out there who talk as much or more. There was also the matter of long-distance calls. They were expensive. If you had out of state friends or relatives, or even out of your local area, it could cost you an arm and a leg to conduct long-winded conversations. Writing letters was the norm, since there was no email, either. Special calls for birthdays, holidays and family emergencies were often the only long-distance calls made. That was the Golden Age of Hallmark, when you’d send a card in the mail. Now we have entirely different issues. Not only are party lines long gone (thank heavens), but now your phone goes with you everywhere. And this creates a whole new set of issues, especially for those of us who aren’t addicted to them. If everyone in the room has their nose in their phone, then that’s one thing. In fact, texting someone in the same house or even room is not unheard of. This, needless to say, is rather crazy to those of us who are as old as dirt. I suppose it can be related to passing secret notes in class or under the table. But how much of real life do you miss? Don’t get me wrong, I’m not against texting. It comes in tremendously handy to exchange brief information in an unobtrusive manner. However, like email, it often replaces true communication, either by talking to someone face-to-face or via a voice call. Emoticons notwithstanding, it’s difficult to tell a person’s tone in a text. It is often easier to say something that way than you would ever say in person. This, of course, can lead to ugly confrontations as all restraint and manners depart. Many years ago, back in the 90s, when I worked at NASA, one of our bosses had an informal rule that after three emails on a subject were exchanged it was time to pick up the phone and talk it out. Or, if numerous people were involved, get together and have a meeting. Not a bad bit of advice today. I guess what irritates me most and what motivated me to rant are the people who can’t live without their phone. They are constantly either talking, texting, or looking something up. Their attention is on their phone, not you or anyone else who’s there. This is bad enough in a group, but one on one it’s incredibly rude. If you met someone for lunch you haven’t seen in years, why would you spend that precious time checking your phone for text messages? If you’re waiting for life or death information, that’s one thing, but you know what I’m saying. Or someone comes over to visit and then spends the time paying more attention to their phone. How does that make you feel? Clearly that the phone is far more important. Am I entirely insane and old-fashioned thinking this is the epitome of rudeness? Modern communications devices have changed our lives, in many instances in a very positive way. But phone addiction has caused problems as well. It took a ridiculous amount of time before it became apparent to insurance companies and law enforcement agencies that those who talked or texted while driving were as dangerous or perhaps even more so than drunk drivers. I suppose a Blue Tooth and voice commands make it no worse than having a passenger or kids in the car, but it’s still a distraction. Whenever I see someone driving erratically they are usually yakking away to someone who’s either invisible or on their headset. Doesn’t anyone ever concentrate on driving safely anymore? I suppose with self-driving cars coming soon, that won’t matter anymore, but for now it does. Especially in metropolitan areas, most of which have a severe traffic problem. This rant has gone on far longer than intended when I could have said it in one sentence: When you’re driving or visiting with someone, put away your damn phone. It’s annoying, offensive, rude and sometimes dangerous. And I don’t mean only in traffic. One of these days, the person you’re ignoring might finally get fed up and hit you upside the head. Next year at this time many places across the USA will have great viewing of a solar eclipse. Eclipses occur a few times every year, but they are usually in remote locations that astronomers travel great distances to witness. Don’t miss this one that could be relatively close to home! The clouds cleared enough last night in Central Texas to see this and it was spectacular! Don’t miss it! Mars, Saturn and the star Antares have made a triangle in our sky for months. Now see them in a straight(ish) line. Cleo’s saga continues in another suspense-filled episode. If you’re a Cleo fan like I am, you won’t be disappointed in this latest segment of her ongoing story. This one picks up where Baby Girl 5: Caribbean Heat drops you off with a nail-biting cliffhanger. Cleo, her best friend, Kacy, and La Tige have been ambushed and left in dire straits in a warehouse. Upon surviving this ordeal, the set out to figure out who the culprit is and his possible motive. More of Cleo’s family secrets are revealed in the fast-moving sequel. As always, the characters are convincing and endearing and by the time you make it this far in this enjoyable series, they’re like your own family. Cleo’s story just gets better and better. This would definitely be huge! This is pretty amazing to say the least. Some astronomers think this star may have an alien megastructure – an energy-gathering Dyson sphere – around it. Here’s the latest. 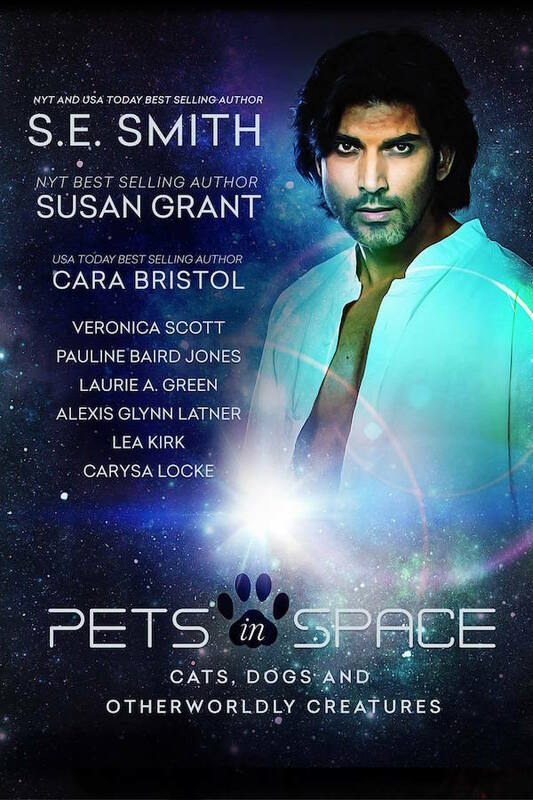 If you love both pets and science fiction, this looks like something you’d like!